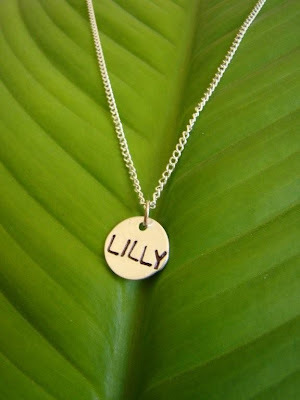 My newest favorite thing are these handstamped necklaces I've seen everywhere! 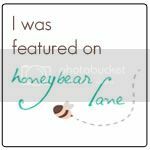 It seems like everywhere I turn, a handstamped necklace shop owner is advertising on a blog I read. I love them and decided that I needed one for my birthday from both my Bugs. Here's the one I finally decided on after searching 105 pages of handstamped necklaces on Etsy (they have 202 pages, but I had to draw the line somewhere). Of course, it doesn't say "ps, i love you", but instead says the name of my precious Little Bug. I picked this one as my birthday present because of the font. It was the only one out there that had this vintage looking script writing, and I fell in love with it. I can't wait for it to arrive in the mail (it shipped today)!!! Thank you underhercharm for making my birthday so sweet (and to my husband who actually purchased it for me). Go check out her stuff or her blog - it's incredible... and tell her I sent you! 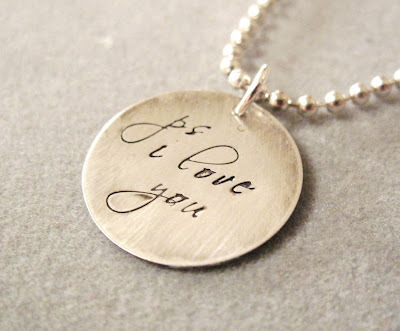 I also searched and searched Etsy for a simple handstamped necklace for a friend's birthday. I had it stamped with her son's name, too. What mother doesn't want to wear her baby's name around her neck? I chose this shop because of her fast turnaround (I was already late for her birthday) and because of her reasonable prices (Em, you know I'd spend $100s on you if I had it!). It was shipped fast! And I think my friend likes it. 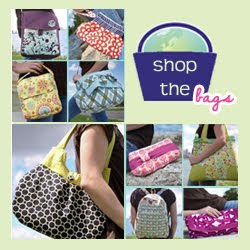 :) Please check out her store and her blog ... and tell her Better Life Bags sent you, too! By the way, I think both of these ladies came out with tons of new items since I bought my necklaces a week ago! Way to keep things fresh, ladies! I'm proud to sell alongside you on Etsy ! Another Addition to Better Life Bags! Just birthed another custom bag order!